Rechargeable Hearing Aid Technology: Is It Right for You? As its name suggests, a rechargeable hearing aid allows its user to recharge its battery instead of being forced to replace it. 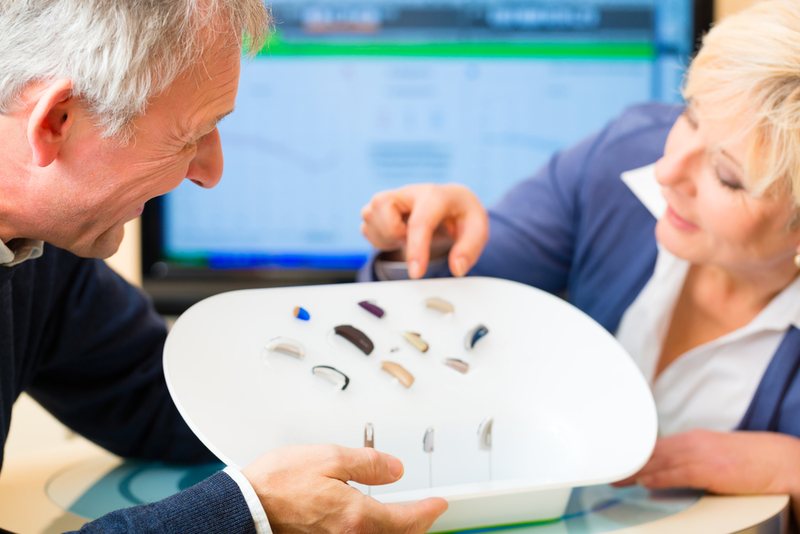 These unique hearing devices are available at Cortland Hearing Aids in Cortland NY, and to help you determine whether this type of solution is right for you, the caring team has compiled some helpful information. For many hearing aid wearers, changing the battery can become a nuisance. Because the tiny devices require a significant amount of power to operate (especially digital models), it’s easy to go through batteries quickly. Some individuals even need to have multiple batteries on hand at all times, just in case theirs stops working suddenly. Plus, many hearing devices are designed to be discreet, so they are typically small in size. Their compact nature can make changing the battery a tricky task. If you’ve found it to be a cumbersome task changing the battery in your device, you could be an ideal candidate for a rechargeable model. Unlike traditional aids, which contain disposable batteries that need to be replaced once their power is used up, rechargeable hearing aids come with batteries that can be used again and again. To use a rechargeable product, all you have to do is follow your audiologist’s instructions for charging the battery. Typically, rechargeable devices are charged overnight. Afterward, they can be used for up to 24 hours of continuous hearing support. Many people with hearing loss find these models to be a more convenient solution to the traditional styles, due to their long lasting battery life, also eliminating the need to carry spare batteries around with you. If you’re considering a rechargeable hearing aid and would like to learn more about the different models available through Cortland Hearing Aids, you can speak with one of the caring staff members by calling (888) 614-8064. You can also visit the facility online for additional information about the different types of hearing solutions available at their location. http://www.cortlandhearingaids.com/wp-content/uploads/2018/01/Cortland-Rechargeable-Hearing-Aid-blog.jpg 240 480 admin http://www.cortlandhearingaids.com/wp-content/uploads/2018/01/logo-300x78.png admin2017-03-31 21:32:012018-01-25 21:33:51Rechargeable Hearing Aid Technology: Is It Right for You?